If you have the Mac OS X and need to print on a black and white (Gray scale) colour scheme then let’s check out how you can do so on your Apple computer. Many times it’s better to save on colour ink in the printer as it is not necessary to print on color if it is not important. The main key for printing in gray scale is to route the printing through the Preview application which is shown below in the procedure. For doing this you need not install any application as you can do this on your Apple computer with just some extra steps than compared to the previous steps where you used to print in color. You can do this very easily with the help of the print dialog box in any application. 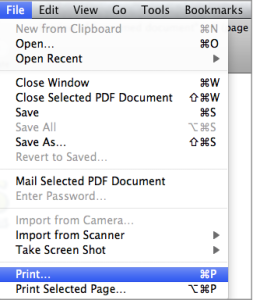 First, you will need to select Print frp, then the document which you wish to print needs to be selected. This feature will be under the File menu. 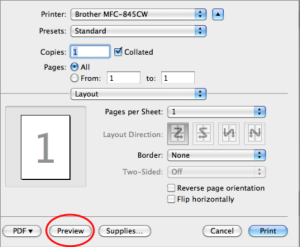 Now, you need to next press the Preview button which is present in the Print dialog box as shown below. Now, this will open up the application window in the Preview app as shown below. Here, you need to click on the app to bring it to the front and then you need to enable the menus. 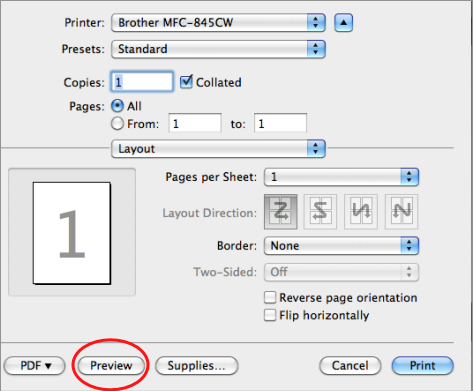 Now, you need to select the File menu and then you need to Print from the Preview application. After selecting the option you need to go under the Orientation settings where there is a drop down box which is labeled as Preview. Now, you need to Change this to Print Settings and then you need to Select the Basic tab and then toggle the Color/Gray Scale button to Gray scale. This is it, now you need to just click on the Print button and your document will be printed in the gray scale.